In the early morning hours of September 8, 2017, suspects broke into Buffalo Junction convenience store and restaurant situated at the corner of Highway 49 and Highway 83, near Benito, Manitoba. An undisclosed amount of cash, alcohol, cigarettes, and other items were taken. The investigation is continuing. 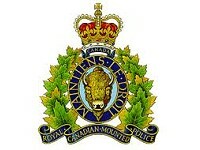 Anyone with information regarding this crime is asked to call Swan River RCMP detachment or Crimestoppers.